Over the past years the term "Classic" has been applied to cars rather loosely. "Caprice Classic" for example. Who makes a car into a "Classic"? What makes a car a 'Classic"? Certainly not the manufacturer by simply applying a name plaque. To be properly termed a "Classic" a car must pass certain requirements. First, the style must be innovative and pleasing to the eye - something special. It should be advanced for it's time in many aspects of engineering. A Classic must be popular among all types of people. It must be sought after by museums, collectors and enthusiasts to preserve and own. A Classic must always be increasing in value, never decreasing. And ... a Classic must weather the test of time to insure that it will continue to be ALL of the above in order to maintain it's Classic standing for generations to come. Do '55, '56 and '57 Chevys measure up to be a true Classic? YES! The style is not only innovating and pleasing but also unique. It's advanced engineering is well known in many ways from the V-8 engine down to the spherical ball joints. The 5-6-7 Chevy is definitely popular among people of all walks of life and is one of the most sought after cars today. We all know that it's value is on the rise every year. A '55, '56 or '57 Chevy is a Classic if there ever was one! The Dallas Area Classic Chevys was founded in 1976 and are dedicated to these 'Classic Chevys'. 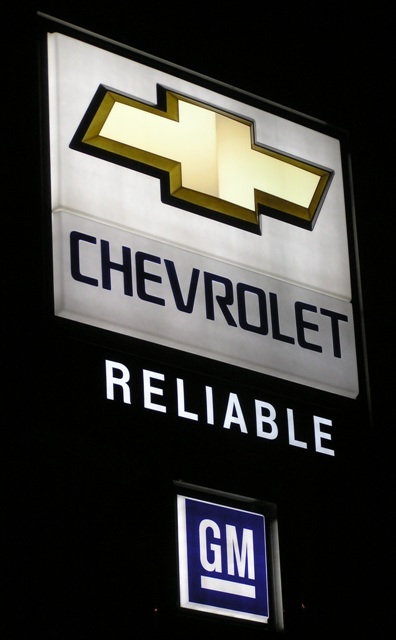 Our purpose is to establish an association of members based in the North Texas region for the purpose of encouraging the restoration and/or preservation of the 1955, 1956 and 1957 Chevrolet automobile and truck. We participate in local, state and national events and invite all those that have these 'Classic Chevys' at heart to join us. Long Distance Winner - Alaska! Classic Chevys at the drags! 50th Anniversary of the '55 Chevy at the Autorama! 50th Anniversary of the '55 Chevy on television! 50th Anniversay of the '56 Chevy! '56 Chevy Anniversary on television! 1957 Chevy celebrates 50 years in 2007! The first meeting of what became the Dallas Area Classic Chevys took place in the Northpark Shopping Center parking lot in 1976. Meetings moved to local parks nearby as the year progressed. The 1977 Dallas Autorama was the first DACC function and 8 55-57 Chevys were displayed together as a club for the first time. During the late 70's and early 80's, Classic Chevy Clubs from Oklahoma and Texas converged on Ardmore, Okla each September for what was known as the Ardmore Classic Chevy Run. At the '78 Autorama the DACC put on a display that featured a Drive In Movie theme. Late Chevrolet in Richardson became a sponsor of the DACC, and the club assisted on a big promotion for the dealership in '78. Newspaper ads for the Late Chevrolet/DACC show in '78 could be found in all the major newspapers. The DACC members taking awards at the '79 Autorama lined up for this group shot. From left to right is Ron Wilson, Al Collier, James Ellis, Greg Easley, Tom Renfrow, RD Wallace, Mike Cook and Ray Trevathan. 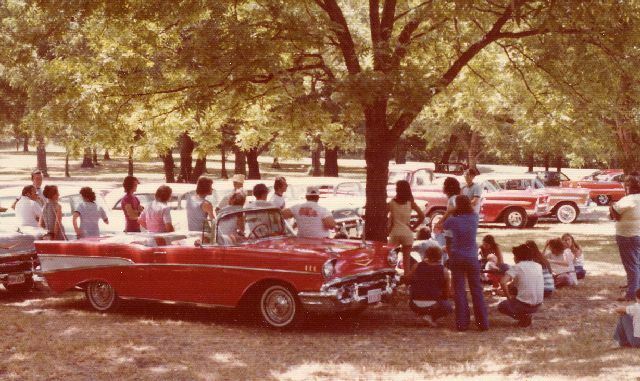 In 1979 our club hosted it's first major event, the Classic Chevy Club Regional Convention. Here are just several of the '56 Chevys being judged at the '79 Dallas Classic Chevy Regional Convention. The overflowing judging parking lot of 55-57 Chevys in 1979 at the Regional Convention. The Sock Hop Dance at the '79 Convention has no less than Johnny Dee and the Rocket 88's providing the tunes. Our association with Late Chevrolet continue with a joint display at the 1980 Autorama. The founder of the DACC, Greg Easley accepts his Lifetime Member Plaque in 1981. Greg put a ad in the Dallas Morning News in 1976 and from that started the DACC. He spent many years driving from his home in Sherman to oversee and assist with running the club at the beginning. Parades have been a favorite activity of the club, here seen at the State Fair of Texas parade through Downtown Dallas in '81. The Lone Star Classic Chevy Convention started in 1983 and Austin was the first site for this event that continues today. Past President Earnest Lander took the People's Choice Award at the Lone Star II Convention in Ft Worth in '84. The Dallas Autorama produced several winners from the DACC, from left to right - Harry Crossley, Bennie Kirtley, RD Wallace, Paul Fuller, Joe Williamson, Mike Cook and Gilbert Thomas. '85 found DACC hosting a Classic Chevy Club National Convention with over 300 55-57 in attendance. At the Dallas '85 convention, the Long Distance Award went to Bill Hollywood who drove his '55 from Ketchican, Alaska! The '85 Dallas Convention feature a show within a show, as Doran Chevrolet just across LBJ Freeway from the convention site hosted 30 handpicked cars from the event to compete for cash awards. Drag Racing was a popular venue at the '85 Dallas Convention as DACC rented Texas Raceway in Kennedale for this event. Cleaning his '55 for the Show N Shine at the Dallas National Convention in '85, Curtis Vittetoe from Oak Grove, Missouri would end up the People's Choice winner. The DACC had a drag racing themed display at the Autorama in 1986. The club celebrated it's 10th Birthday in 1986 with officers (L to R) Earnest Lander, Danny Fisher, David Graves and Dale Irvin. DACC continued it's relationship with Doran Chevrolet with a huge 55-57 Chevy show in the fall of '86. DACC held the annual Show N Drags at the new Texas Motorplex in '87. Here 55-57 Chevys were judged per CCI rules and featured drag racing for our cars only. Staging lanes of 55-57 Chevys waiting their turn on the quarter mile during the '87 Show N Drags. Show judging during the '87 Show N Drags had the pits at the Texas Motorplex overflowing! Drag Racing went into the night during the '87 Show N Drags in Ennis. Waco hosted Lone Star VI and one event during the weekend featured 55-57 taking over a local Chevy dealership! DACC winners at the annual Autorama feature from left to right - first person unknown, RD Wallace, Larry Benson, Craig Opel, Larry Cheek and Lance Denton. 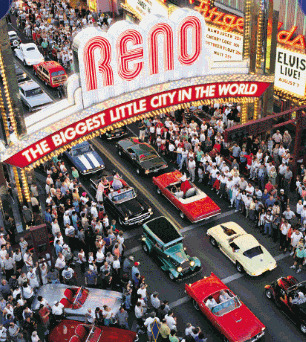 DACC took the task of hosting the largest annual meeting of 55-57 Chevy enthusiast in '91 when during a week long event, over 400 attendees from around the world came to be a part of the International Classic Chevy Convention. Here the Show N Shine Judging is underway at the Bear Creek Country Club near DFW Airport. DACC hosted for many years a open show known as 'The Santa Cop Show' in Mesquite. Each year DACC would provide gifts for Christmas that the Mesquite Police would distribute each year to needy kids. Autorama winners from 1994 consisted of from left to right Tom Martin, BJ Bucher and Gerald Phariss. Young Chevrolet enjoyed a long relationship with the club and here at the '97 Autorama our club again has a great lineup of 55-57 Chevys on display. At the end of 2003, DACC had re-organized and began a rebuilding process that included the continuation of showing Tri Five Chevys at the Dallas Autorama in 2004! DACC made a special effort to recognize the 50th Anniversary of the 1955 Chevy at the 2005 Dallas Autorama with this great lineup of ALL '55 Chevys! Our '55 Chevy only display attracted alot of attention at the '05 Autorama, and we were featured on the local news with multiple live segments talking about our '55 Chevys like this one with club member Sonny Poteet! The celebrations continued for DACC in 2006 as we displayed at the Autorama a select group of '56 Chevys from the club! And it was again that the DACC display was the center of live TV segments from the Autorama as club members talked about their '56 Chevys! And again, DACC does it up big for the 50th year celebration, this time for the 1957 Chevy! At the '07 Autorama the club had 15 1957 Chevys on display and was a main attraction for the show that year!